Marketing is important for any business, but advertising can be very expensive. There are low cost or even free ways to promote your business. 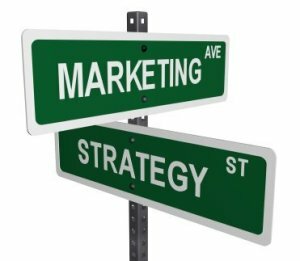 This is a guide about marketing your business on a small budget. I own and operate a bed and breakfast. Since there are people in my town that will never need to stay at my bed and breakfast I still like to offer them a taste of what I have to offer in the event that relatives and/or friends might need lodging. So when I have left over muffins that morning I bring them with me and offer them at the bank, the hairdressers, the dry cleaners, the grocery store clerk, etc. It's simple marketing but I've received many referrals doing this. Also add your business card when you give a muffin to each person. You should also offer to sell muffins and other treats to the people you have given your samples to. Sometimes guests stay at the host's house, making it very hard for the host to cook all this extra yummy stuff. Maybe some of them would like to special order from you. Im starting business selling muffins and a friend of mine said to researsgthe target audience of muffins. who would the target audience be? Is there anyone who doesn't like home-made baked goods? Have you considered selling your muffins through local restaurants or cafeterias (who don't already have muffins on the menu)? Wrap them in plastic wrap, add a sticker with your company name / contact information and have the restaurant owner put them in a bowl beside the cash register? Many companies have breakfast or mid-morning meetings. You could consider printing up a menu (the varieties you make), with prices, and leaving a copy with the receptionist at the front desk or ask to speak to the person who customarily organizes meetings?